That's from against Crystal Palace, the most defensive team in the league. When he came on to create the winner in the last minute - the only game we've won in 2 months, and 1 of only 2 goals in our last 7 games. 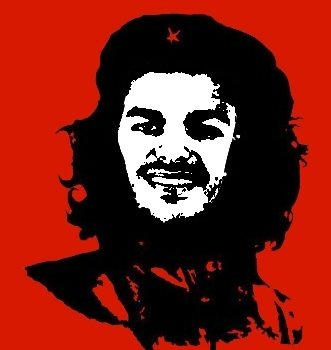 Should try and get every Newcastle fan on Twitter to change their Profile pic to one of Ben Arfa. Then everyone just tweets @nufcofficial I am Hatem Ben Arfa. OK, I need to set fire to something/someone. Got an old school mate and my son-in-law backing Pardew on my FB page. There are some who still won't turn, regardless of what happens. "He's got a history of being a difficult player/hasn't performed this season/doesn't work hard enough/Pardews hands are tied/Dan Gosling is new new Messi etc." If the chants of Hatem Ben Arfa go up there'll be some embarrassed silence probably. Yes! Posting on twitter of that's cool. I'll credit you if you're on there. Added N-O, use that one. It makes you wonder if they just ignore the things going on in front of them. I honestly think Pardew is f***ed. Go on Hatem son. The NO twitter? Or you've made another version of the photo with an NO stamp? E's literally not got thuh bott-uw, Gawy. E's not a tracka backa. You cawnt wely on playas who don't give you Wan 'andred an ten pacent.